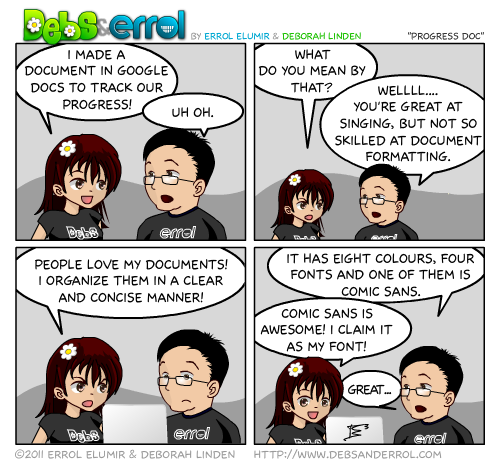 Errol: We have a CD Progress document that we use. Debs created it. She thinks I didn’t update it because I’m lazy. I didn’t update it because it was scary and confusing. And yes, she likes comic sans. I have seen the document. It was frightening. The room got cold and dark and it felt like all the happiness had gone out of the world. It may have taken a piece of my soul!